The whole Kit 'N Kabookle of reading. Spotlighting books and authors of fantasy, science fiction, mystery/thriller/suspense, romance, and ya. Caeli Crys isn’t living—she’s surviving. On the run after the genocide of her empathic people, she witnesses a spaceship crash near her hidden camp. When she feels the injured pilot suffering from miles away, she can’t help but risk discovery to save his life. She felt them before she heard them. The sudden wave of panic gripped Caeli so fiercely that she fell to her knees. Sweat beaded on her forehead and her body shook with another person’s cold fear. We’re losing altitude. I can’t keep her nose up. Time is running out. A voice echoed in her head, frantic. The words were strange and foreign, but she felt their intent. A ship pierced the white clouds overhead. Frozen in place, Caeli tracked it streaking across the sky, her consciousness now fully merged with one of the desperate occupants onboard. Her breath came in short, gasping bursts. Seconds later a shattering pain exploded through her body and she screamed. The ground shook violently beneath her, and then nothing. -What inspired you to become a writer? I dreamed of being a writer when I was a little girl. But I also wanted to be an astronaut, a doctor, and an archeologist! And then life happened! I think so much of my energy was taken up raising my kids, working, and running a household, there just wasn’t much left over for creativity. I am not implying you can’t have young children and write. I know people who do it very successfully, but it was all I could do to string a sentence together! Then my children got older, the dynamics in my family shifted, and I began to consider changing careers. While I pondered what was next for me professionally, I took on a yearlong writing project at work, thinking it would give me the change of pace I needed. Turns out it was one of the most satisfying things I’d ever done in my career. Since I was in the habit of writing every day for work, I challenged myself to write creatively every day as well. A year later when the report was finished, so was the first draft of a manuscript. 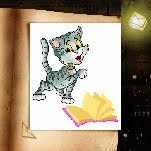 -If you could visit your book’s world for a day, what one thing would you do? I’d pilot Derek’s fighter through interstellar space! -Give us a fun or interesting fact you learned researching this book. I really had fun naming my characters and planets! Some of the names I took from star charts or cities around the world, but Caeli’s planet is actually named after the astronomical and mathematical manual written by Ptolemy around 105 BC – The Almagest. -Which of your characters would you go out for drinks with? I’d definitely go for drinks with Andreas. Although he is only a minor character, I love him. He’s colorful, charismatic, and an old-school gentleman, in addition to being a criminal. I think he’d probably be the most fun! -If you could go back in time and give your pre-published self one piece of advice, what would it be? Oh, I have a few things I would advise my pre-published self! But if I had to pick the most important it would be this: a first draft is nowhere near the finished product. This was shocking to me as a first time novelist, although it shouldn’t have been! I knew edits were going to happen, but I had no idea how much work they would be. If I had to estimate, I would say that writing the first draft was only about one-third of the work. Editing and working through the business side of publishing made up the other two-thirds. What's fun though, or at least what's satisfying about the post first-draft phase, is transforming the story from a rambling, exhaustive, stream of consciousness manuscript, to a work that has structure, flow, and even some artistry. I’ve learned so much about the craft of writing through editing. -Is there a genre you could never write? Which and why? I’m definitely planning to write in different genres. I’ve started a speculative thriller, and I have plans for a historical fiction novel. I’d love to write horror, and maybe some straight-up romance too. Literary fiction would be stretch for me, but I wouldn’t rule it out. I’m not sure I could ever pull off a mystery, though. I’m the kind of person who reads the end of the story first if it’s too suspenseful! Tabitha currently lives in Rhode Island, a few towns away from where she grew up. She is married, has four great kids, a spoiled Ragdoll cat, and lovable black lab. The house is noisy and the dinner table full! She holds a degree in Classics from College of the Holy Cross and taught Latin for years at a small, independent Waldorf school. She also worked in the admissions office there before turning her attention to full-time writing. 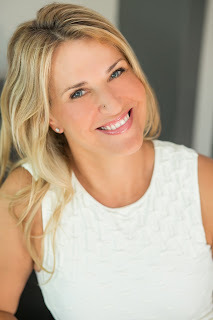 You can visit her blog at www.tabithalordauthor.com where she posts author interviews, hosts guest bloggers, and discusses some favorite topics including parenting and her writing journey. 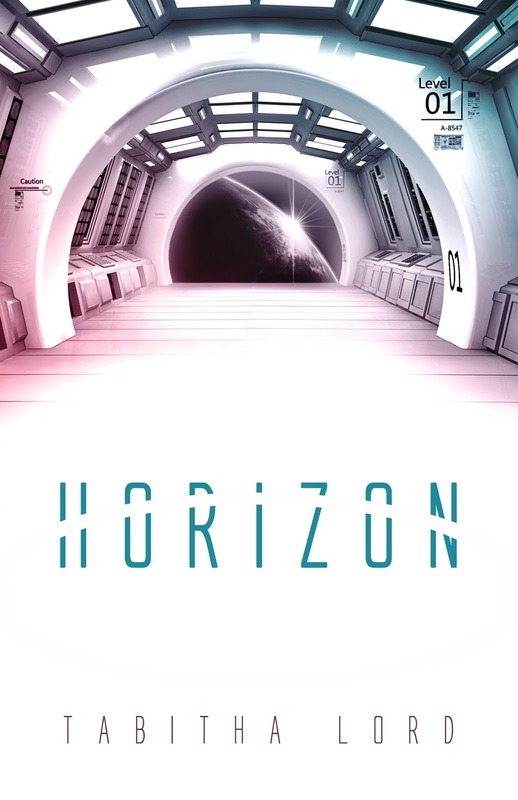 Horizon is her first novel. Tabitha Lord will be awarding a $10 Amazon/BN GC to a randomly drawn winner via rafflecopter during the tour. -Kit ‘N Kabookle posts on Twitter @desantismt. Tag me for retweets. When superstar hockey player and notorious bad boy Aleksandr Volynsky is traded to the Seattle Earthquakes in a blockbuster deal, Stephanie demands the opportunity to prove herself by scoring an exclusive interview with a man with no love for the media...the same man she once thought, as a naive teenager, she'd someday marry. Now expected to carry a failing team on his shoulders, Aleksandr's troubles deepen when he encounters Stephanie after a season-opening loss. His lifestyle of drinking and random hookups has been a futile attempt to forget the beautiful tomboy who stole his heart nine years ago. And worse, fame and fortune have made it impossible for him to trust anyone--especially Stephanie, who is engaged to another man. Keelin is the only human fledgling, weaned by the drackans of the High Hills and given their instincts, ferocious strength, and fierce hatred for humankind. But even the drackans closest to her cannot explain why she has violent blackouts from which she wakens covered in blood. 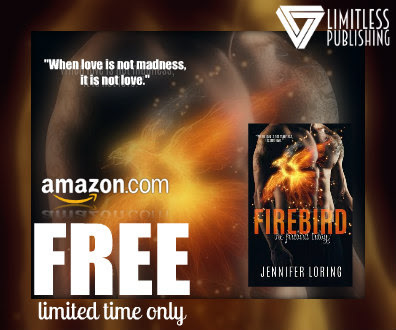 A desperate, reckless search for the source of this secret brings her face to face with the human world and memories from a locked-away past, long forgotten. Keelin becomes a terrifying legend among human assassins while she hunts for answers, and the human realm’s High King is murdered. While a sickly steward hides within crumbling walls, commanding her every move with a magic he should not possess, Keelin’s journey to track him down threatens her loyalty to the drackans who raised her. The rogue who crosses her path hides familiar secrets, echoing her own terrifying bloodlust and forcing her to consider that there may be something human about her, after all. Igetheyr stood unmoving, and E’Kahlyn gently unfurled her red-brown wings. 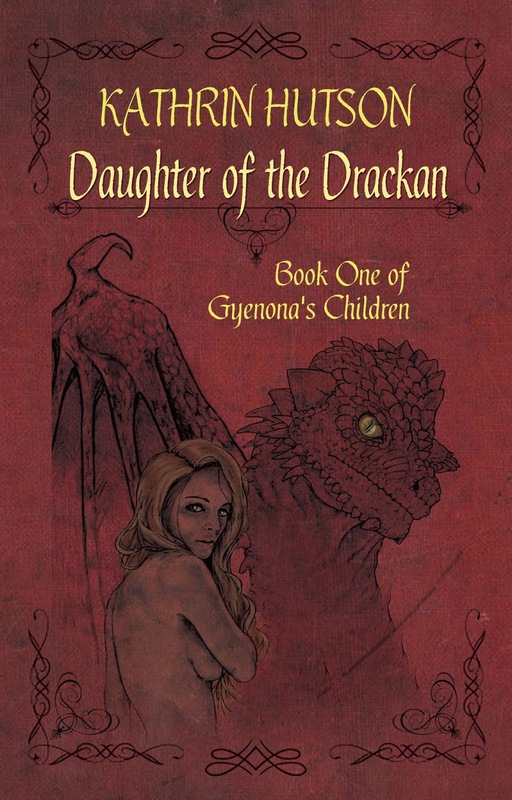 The child sat atop the drackan’s scaly back, legs huddled up to her chest. She too stared at Igetheyr, eyes glowing from beneath the shock of tangled hair. The others snorted and growled at the human, their hatred and bloodlust already thick in the air. The drackans’ centuries-old feud with the scale-less race ran deep within their blood. Seeing one now in their home stirred timeless memories of the war, so long ago, that had started their hatred in the first place, and memories of the last human fledgling who had turned astray. The child slid to the ground, gazing at the drackan with pleading eyes. E’Kahlyn nudged her forward with her snout. The child stumbled toward Igetheyr’s great figure and placed her hands behind her back. Her narrow chest stuck out vulnerably, head held high, and she met eyes with the black drackan. Fear did not exist in the child, as if it never had. She was part of the new world around her now and still so disconnected. Igetheyr snorted, seemingly entrapped by her boldness. E’Kahlyn opened her mind to just the two of them, eagerly awaiting the important exchange, the final word. ~Buy DAUGHTER OF THE DRACKAN on Amazon. I’ve always loved books. When I was a toddler, I slept with books instead of stuffed animals. I’d walk around the playground in elementary school during recess, my nose stuck deep in a book, and I let my peripheral vision lead me in circles away from the other playing kids. When I was bored, I’d read. When I was angry or felt alone, I’d read. When I loved a book and got super excited, I’d read even more. I remember my parents getting really frustrated with me because I’d sneak out of bed (when I thought it was late) and turn on the lamp on my dresser, stand there, and read under the tiny light. And then when I was ten, I realized I could write. It wasn’t a realization of my skill or abilities, which I didn’t particularly have at the time—that would have been unbelievable. But I became aware of the possibility, and that’s when I started. The awareness of that possibility alone was what inspired me—I could make anything I wanted. I could create the story I’d always wanted to read and never managed to find. I haven’t stopped creating since. This question is really cool, because I’d already asked myself that question when I was writing ‘Daughter of the Drackan’, and I wrote a 1900-word little ditty about it. I have to admit, I searched through tons of files and notebooks to find this piece (which I’d written years ago) so I could pull an excerpt from it to share in this interview. Alas…it’s not very good. There’s really nothing in there I’d feel proud to share in this interview, other than to tell you what it was about. I broke out laughing. I’d written myself into Keelin’s past before her story takes place in ‘Daughter of the Drackan’. The piece is in first person, and I put myself in her world in the cliffs of the High Hills basically just to mess with her. It was a really cool exercise in my relationship with both her as a character and the world I’d created. In that place, I’m a god. So I let Keelin see me (because I’d been invisible to her before, of my own choosing, of course), and threw rocks at her and got her in trouble with another drackan. Because I could. I also flew through the air and hovered in front of her (what can I say? Flying might be my secret superpower), then showed Keelin her entire future—everything in her story that would happen and all the reasons why…and that there was no escape for her because it was already written. At the time, I saw this as a way for me to connect with Keelin, and her with me, and it somehow allowed me the freedom to get inside her head, move about, and really tack down the things in ‘Mother of the Drackan’, the sequel, that she accepts to seal her own fate. To be sure, I wiped her memories of the whole encounter, because it would never do to have my badass protagonist remember her fleeting moment with the one being who could totally tear her life apart. It was a super cool experience. That’s what I love about Fantasy! I have the option to never do any research whatsoever. Because research takes so much time, and you have to get it right, and it distracts from the whole process of actually writing about it (I may be a little sore from all the research I’ve had to do with my current Dystopian Sci-Fi, ‘Sleepwater Beat’. Rest assured, I got all my facts straight). But I will share the interesting fact of how the character Igetheyr came to be. 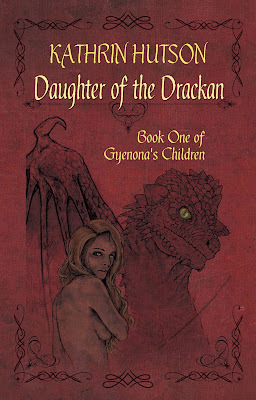 This was before I ever actually started writing ‘Daughter of the Drackan’, and I know, because Igetheyr’s in Chapter 1. This is a testament to how hard my subconscious was working to give me what I needed to write this story. I had one of the most vivid dreams one night about white, sparkling cliffs, jagged like broken glass and blinding with their light. From a pillar on a ledge in the cliffs, I watched a giant black form swooping down towards me. At the last second, it curved upward and spun up into the sky. I watched its scales glistening in the reflected light, saw its golden eyes when it turned away from me, and caught a fleeting glimpse of the end of its tail—covered in a long series of razor-sharp spikes. As hard as it often is in dreams, I couldn’t remember whether I’d heard the words, or saw them spelled out in my subconscious, or felt them through my entire being. But they came to me loud and clear—Igetheyr and Ydtha-Adin. Igetheyr, of course, is the black drackan from my dream, and that gave him the role of the hermitic, wizened patriarch of the High Hills drackans and the most powerful character (though he doesn’t interfere at all) in the entire series. I loved the name Ydtha-Adin, and subsequently gave it to the white, shimmering cliffs. It then became the temple of the drackan god Gyenona—who created the beasts and set their purpose in the world—and, ever wanting to see him fail, his brother Ydtha. Of course, there’s a whole backstory there that you’ll have to read the book to discover (can’t say I’m sorry, either). Still, I’m so glad I pay attention to my dreams. -Which of your characters would you go out for drinks with? I’ll stick with ‘Daughter of the Drackan’s’ characters for now to answer this question. It didn’t even take me half a second to know that I would never go out for drinks with Keelin. She would be absolutely no fun, and would most likely make me an accessory to murder. I would, though, very much enjoy going out for a night on the town with Aloran and Baghr. Aloran is the head server at Brijer Turret, who runs the kitchens during the day and personally attends Lord Menykh, the Steward of Brijer Turret. By night, he’s the leader of the King’s Knives, an underground organization of skilled assassins who work secretly to avenge the High King’s death and return his son to the throne—coincidentally fighting Lord Menykh himself. Baghr runs a legitimate business as a glass seller in the heart of the industrial city Garrett, and his store just so happens to be a front serving as the King’s Knives’ base of operations, so to speak. He and Aloran met when Aloran first served in Asread’s castle under the High King, and they formed the King’s Knives together. Besides Aloran and Baghr knowing how to have a good time and most likely making for some extremely entertaining interaction, the mere fact that these two mess with Keelin when they have the opportunity (even though they respect her deathly talents and have learned to fear her rage) gives them extra points in my book. While they would also most likely make me an accessory to murder, they’re much better at covering up their tracks and getting away with no one noticing. -What do you enjoy reading in your free time? Everything! Well, almost everything. There are two specific genres I’ve just never been able to enjoy even in the least bit. The first is Romance—and I’m talking purely Romance, where there are zero other elements of any other genre. Don’t get me wrong, if it’s done in the right way, a little bit of a romantic theme in any genre is more than welcome in my mind. Heck, I write romances and love triangles in my own work (though it’s never the focus). But Romance purely for the sake of Romance in and of itself…I just don’t see the point. This is not me dissing Romance as a genre or its authors. 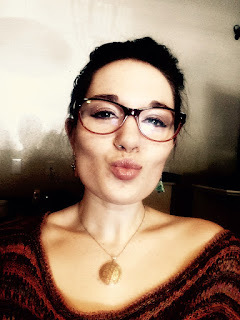 It’s my own personal distaste (and if you’re wondering…no, love has not made me bitter. I’m ecstatically married and love romance in real life). The other thing I can’t stand is historical non-fiction. Because it’s boring and it already happened, and it feels like being back in my high school AP History class. My favorite genres to read are Fantasy, Sci-Fi, and Steampunk. I also very much enjoy witty, crude, sarcastic essays, like those by Steve Almond and David Foster Wallace, as well as self-improvement-type works along the Positive Psychology vein and some really great “how-to’s” for Indie Authors. I will probably only ever write fiction, so that completely takes out non-fiction. I think I write enough of that on the blog for my editing business. But any other genre I enjoy reading I have, at some point or another, considered writing. I guess that pretty much slashes a giant, scarred, burned-to-a-crisp X through Romance. If I were ever to write a Romance novel, nobody would like it at all, because it would of course show in some character or another who popped up at all the wrong moments to say how ridiculous the whole thing was anyways. Kathrin Hutson has been writing fiction for fifteen years, editing for five, and plunging in and out of reality since she first became aware of the concept. Kathrin specializes in Dark Fantasy and Sci-fi, and the second novel in this series, Mother of the Drackan, will be released this February. Kathrin runs her own independent editing company, KLH CreateWorks, for Indie Authors of all genres. She also serves as Story Coordinator and Chief Editor for Collaborative Writing Challenge, and Editing Director for Rambunctious Rambling Publications, Inc. Needless to say, she doesn’t have time to do anything she doesn’t enjoy. Kathrin Hutson will be awarding a $25 Amazon/BN GC to a randomly drawn winner via rafflecopter during the tour.